McAfee is an independent cybersecurity company inspired by the power of working together, creating business and consumer solutions that make the world a safer place. By building solutions that work with other companies’ products, McAfee helps businesses orchestrate cyber environments that are truly integrated, where protection, detection, and correction of threats happen simultaneously and collaboratively. 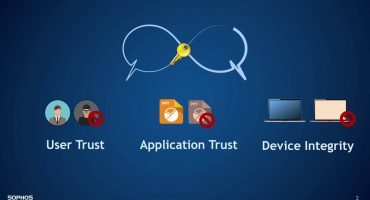 McAfee Endpoint Security – McAfee Endpoint Security integrates multiple technologies across the threat defense lifecycle using a single agent and a centralized management console to keep you and your security agile. McAfee Complete Data Protection – Enable data protection with drive, file, folder, removable media encryption, and data protection for cloud storage. This suite includes data encryption integrated with centralized management and encryption for Apple FileVault and Microsoft BitLocker to prevent unauthorized access and loss or theft of sensitive data.